CW Group real estate Ibiza offers lovely Villas in Ibiza and exclusive service to meet your needs. Are you interested in buying the villa or the apartment you have been dreaming of? CW Luxury Villas in Ibiza has a wide selection of exclusive properties in Ibiza and villas in Menorca. The CW Group real estate Ibiza will help you finding your dream home. Call us at Tel +34 604 101 816. We are looking forward to realize your dreams and to give you a home where you feel comfortable. Buying a Villa in Ibiza with excellent prices. We provide a list of related items to choose for disposal. Please use our contact form. Send us your requirements and our team will send all the qualified properties by email. The CW real estate Ibiza will simplify your search. Write, send and get a list of all properties in Ibiza that we selected for you. If you want to buy an apartment, a finca ibiza or villa, we will support you from the concept to the completion of purchase. Take advantage of our service and invest your money in a Villa in Ibiza! Benefit from our 20 years of experience and the extensive selection of the CW Group in Ibiza. Over the years, we have built up one of the largest selections and contacts. Ibiza maintains the highest increase in value. Now it is time to buy. Please contact us via email or Tel. +34 604 101 816. Your Ibiza real estate Team !!! 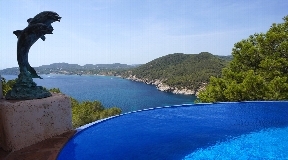 Luxury Villa in Ibiza with fantastic views in Cala San Vicente for sale. Villa in a very quiet and sheltered location above the romantic town of Cala San Vicente on Ibiza. This luxury villa is located in the first line to the sea in the highly coveted urbanisation of Es Cubells, with direct and private road to a small secret beach. Luxury villa near Santa Eulalia positioned in the mountains, only a five minute drive to the city, this villa has a large plot in the highest position on the hill with fantastic views of the east part of Ibiza and the coast. 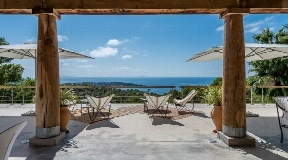 The dream home on a plot of over 2 acres embedded with unforgettable views of the sea, this villa offers stunning views of the sea. Beautiful villa with 5 bedrooms located in a privileged area of the island, just 2 km from the center of Ibiza, 2 km from the airport. It also has two spacious terraces with views, private pool and a large chill out area. Beautiful white house, Mediterranean style on the edge of a small cliff with a staircase that leads directly to the sea. New luxury property with views to the Sea and Ibiza Town. This super villa in Can Rimbau located just minutes from Marina Botafoch and the beach of Talamanca. Equipped by the best designers IBERMAISON. The villa is located in the exclusive urbanization of Vista Alegre in the south of Ibiza. This stunning luxury villa is built to very high quality requirements of the owner. An extremely high-quality equipment to impress even one of the world's leading chefs. The entire kitchen is equipped exclusively with professional kitchen appliances ( 'Viking). This beautiful villa is located in the city of Can Furnet, 4 km from Ibiza town. It is equipped with very modern, luxurious and high-quality design furniture.Ideal for business meetings or for parties, or just to carry only a great extravagant vacations. A Luxury villa with large rooms, all bedrooms with private bathrooms. 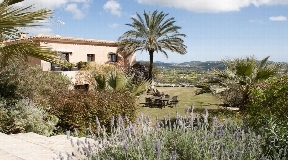 It build on a 2500 m2 plot with 600 sqm garden overlooking the sea and swimming pool. This villa has been equipped to a very high level exclusive villa. The garden is a true paradiese for humans and animals, a garden with lots of flowers, palms and greenery. This villa has to be seen, is a dream home. Welcome to the CW Group with luxury villas on Ibiza !!! The CW luxury villas Ibiza will also be very helpful in negotiating the purchase price. One must never forget that a too low offer on your part will attract little interest from the seller and then be counterproductive. A clearly worded offer will generally arouse the interest of the seller. We recommend including all negotiation points from the start, rather than negotiating piece by piece. If possible, submit a written offer (which, of course, must be contractually agreed when the deal is concluded). Not only the price must be given, but also the amount of the deposit, the time you can afford it and the possible date for the contract. You should also specify what you think should be included in the price (for example, furniture or equipment). One point that is often neglected: All technical equipment and installations should be in good working order. And if you have another property to choose from, you should inform the seller about it. Your lawyer can also be consulted during negotiations to make sure the legal criteria in the offer are met. In more complicated negotiations, the lawyer can also actively intervene and help. The purchase of a property Ibiza is actually a fairly straightforward process. The "last word" in terms of ownership of a property is the Land Registry. There you will immediately receive information as to whether the seller owns the property debt-free and without other charges. Unless the purchase price is paid immediately and in full, a private purchase contract is usually signed in which all the details are already set: the description of the object, the price, the terms of payment, the date of the notarial signature, date of transfer of ownership, etc. At Upon signing the private contract, a down payment will be made on the purchase price, which may vary widely depending on the contractual arrangements. Usually 10% down payment of the agreed price, if the conclusion for the next 30 to 60 days is fixed. For new buildings that are not yet completed, the purchase price will be paid in several installments during the construction phase. All payments on account must be guaranteed by a bank or an insurance company in accordance with Law 38/1999: If the property is not completed by a specified date, the buyer has the right to reclaim the sums paid plus interest. In addition, another law obliges the builder to conclude a 10-year insurance for the buyer for any construction defects. Once the entire purchase price has been paid, the seller will receive the notarized title deed (escritura). If you have any questions the lawyer of CW luxury villas Ibiza will help you. Click here !!! The beautiful, sunny Spanish Balearic island Ibiza with its capital has many top properties and houses with different living space, equipment, location and purchase price to offer. Whether villa with garden, pool and numerous rooms, cosy Finca in green surroundings, house with sea view or small modern apartment: Offers at real estates to buy in different places and top locations on Ibiza fulfil all imaginable desires and requirements at Property. On our website real estate Ibiza we sell high-quality real estate at fair prices - starting with house, villa and condominium over finca and penthouse up to luxury villa with pool, sauna and sea view. Depending on requirements, wishes and budget we help you to find top houses with the desired location, living space, number of rooms and equipment like pool. Feel free to contact us, browse advertisements, request exposés and convince yourself of our references, experiences and qualities in selling high-quality real estate. Living on Ibiza in your own house is particularly enjoyable. From the dream to buy property on Ibiza, becomes reality with the right contacts in the twinkling of an eye. The diverse Balearic island has special charm, scenic variety, forests, mountains, historical buildings and cultural variety to offer. Not to forget the excellent shopping facilities, exquisite restaurants, sports facilities and the impressive island capital. Who wants to buy a luxurious house in first sea line, rustic finca or villa with pool, expects for the purchase price of course fulfillment of all individual wishes, which vary from prospective customer to prospective customer. Before buying an individual property, be it a house, finca or villa, you have to consider the desired living space of the house, number of rooms, location, sea view, garden, interior design, pool, sauna, fitness room, proximity to the sea line, proximity to the city, etc.. We can offer properties at different prices, depending on your living needs, location, area, etc. Buy either house, villa or finca with garden, pool or special highlights, cosy holiday flats or apartments or spectacular houses with view to the sea or Ibiza's beautiful landscape. Our offers of houses, which are ready to buy, are varied, individual and in the best location. Tips for visits, tax advantages when buying houses on Ibiza and top financing options can be found on our website real estate Ibiza. The dream of "buying a house on Ibiza" is child's play with the right contact person. Luxury villa, House, finca, villa with pool, garden, sea view: On the dreamlike Balearic island Ibiza there are most luxurious offers with pool and garden to buy, which fulfill every need, imagination and desires of purchase price, equipment and location. The most varied expectations of your future property can be fulfilled: location, location, pool, garden, sauna, living space, furnishings, number of rooms, proximity to the sea, view, etc. Our references testify to experience, solid knowledge and pleasure in selling real estate. Our advertisements give you first insights. We will gladly send you an exposé or advise you personally and individually. Ibiza offers a variety of landscapes, Mediterranean climate and cultural diversity, beautiful places, top shopping facilities and alternatives to leisure activities. Ibiza has interesting places to offer where you can buy real estate - from house, villa and condo to finca, penthouse and apartment. In places with luxurious real estates beside Can Rimbau, Roca Lisa, Cap Martinet, with the well-known luxury harbour Marino Botafoch. On the Island and Ibiza you will find top offers of properties with garden, pool, many rooms and special highlights that make the dream of living in Ibiza come true. Pulsating island center is Ibiza with approx. Here you will find cultural highlights, cosy cafés, exquisite gastronomy and luxurious shopping opportunities as well as the pretty old town with a mixture of Arabic and Spanish-Catalan influences. 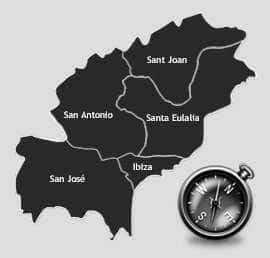 Offers for fincas, houses and apartments in best locations, your personal villa or a modern house for living, living or renting can be found in all towns of Ibiza - whether San Antonio, Santa Eulalia and others. Enjoy thanks to your house on Ibiza with desired living space, location, number of rooms, pool, garden and view the Mediterranean Balearic sun rays, the incomparable feeling of life, relaxation, peace, cultural offers, leisure activities, extensive beaches, exquisite gastronomy, extensive shopping tours and year-round mild summer nights. If you are interested in buying property on Ibiza, be it a house, luxury villa, finca or apartment, Real Estate Ibiza is the right partner for you. 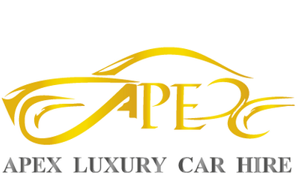 You are welcome to view our advertisements and request an exposé. The customer experience with CW Group real estate Ibiza. "Dear Team CW from villas in Ibiza, thanks again for your professional advises and your highest standards of service, It was really a pleasure to look for a house with you. You have offering us the right property thanks to your unsurpassed quality: fast, professional and always very friendly." Looking for a luxury villa to buy in Ibiza with CW Group real estate Ibiza was exactly what we were expected from a real estate. Thanks to their ability to understand the clients’ needs, we didn’t waste any time to visit house that wouldn’t be suitable for us. Our agent Christian Wolf helps us make a good investment in Ibiza. Here you find the best Land in Ibiza!! Hotels and more about Renovation. Please visit our office in Menorca with all the Villas for sale in Menorca !!! The CW Group presents his new Partner in Ibiza. Charleen Wolf will be from now on in the team of the CW Group and take over the management of the rentals department. We are delighted to offer luxury villas for short-term rental to our customers from now on. Selling a property on Ibiza is art. The real estate market on Ibiza is competitive, and sellers of luxury real estate can achieve better results when they seek professional help from the CW Group ( luxury villas Ibiza ). The CW Group would like to introduce you to some of the most important basics of real estate sales, based on our own experience gained over more than 30 years. Ibiza is not a big city like Madrid or London, whose market potential extends to a radius of up to 80 kilometers from the city center, but an island where many people want to own a second home, where you will find many real estate buyers around the world. The potential buyers in Ibiza are not looking for a villa in which they want to live all year round, rather a second or third residence. As a result, Ibiza's needs are secondary and place more emphasis on the quality of life that their luxury home can offer. The Internet has become by far the most useful tool for those who are looking for buy a luxury villa, and typically the first step for any potential buyer is to search various objects on the World Wide Web. But it begs the question, if, as soon as one has found some interesting offers, it is always right to contact the brokers, which offer these objects, and arrange sightseeing appointments. Brokers you do not know and whom you may never have heard of before; Brokers who may not even identify themselves correctly on their homepage. One option worth thinking about would be to first find out, in parallel to the internet search, which of the brokerage agencies whose real estate you are interested in is really qualified to cooperate. On Ibiza there are several very good agencies with an excellent reputation, a long experience and very good knowledge of the local conditions and offers, which strictly adhere to the ethical principles of brokerage. In addition, if you choose such an agency, you can rest assured that it will give you all the leverage to give you the time to meet you and find out your ideas as accurately as possible. As far as possible, a good broker will share his market knowledge with you and have recently made comparable sales calls, hoping to find exactly what you are looking for. If a good broker does not have an item suitable for you in his own portfolio, he will contact colleagues from other agencies and work with them on a shared commission basis. CW luxury villas ibiza always recommends that buyers of a property in Spain seek a qualified lawyer to represent them, as well as a financial adviser who takes care of the tax matters. Once you have decided to buy a property here, it can be extremely useful to contact a lawyer in advance during your stay in Ibiza, even if you have not found your dream home yet. Because you may have to negotiate sales when you're back in your home country, and it's clearly more difficult to find a good lawyer from a distance than on the ground. 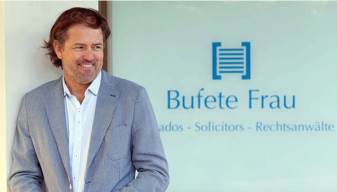 The position of a buyer or a buyer can be strengthened in sales negotiations simply by having a lawyer, an NIE number (tax code for foreigners in Spain) and a bank account. This will enable him / her to make a down payment immediately if the offer is accepted. All the other details are taken care of. When buying a luxury villa, a good broker will also be very helpful in negotiating the purchase price. One must never forget that a too low offer on your part will attract little interest from the seller and then be counterproductive. 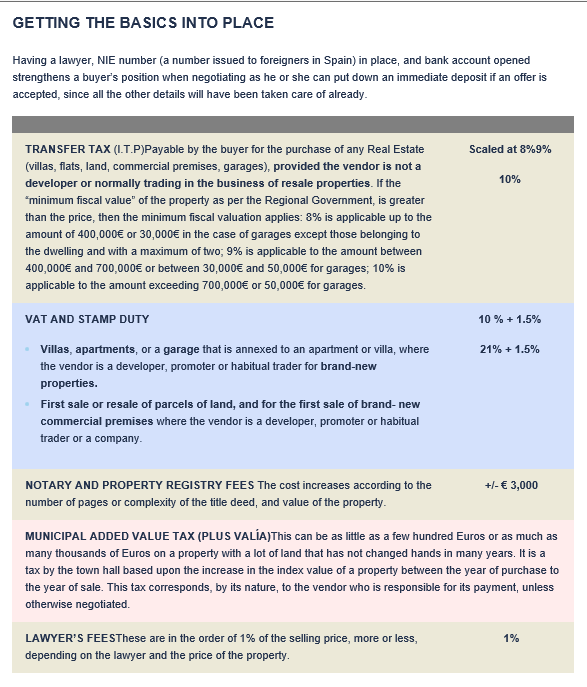 The purchase of a property in Spain is actually a fairly straightforward process. The "last word" in terms of ownership of a property is the Land Registry. There you will immediately receive information as to whether the seller owns the property debt-free and without other charges. Unless the purchase price is paid immediately and in full, a private purchase contract is usually signed in which all the details are already set: the description of the object, the price, the terms of payment, the date of the notarial signature, date of transfer of ownership, etc. At Upon signing the private contract, a down payment will be made on the purchase price, which may vary widely depending on the contractual arrangements. Usually 10% down payment of the agreed price, if the conclusion for the next 30 to 60 days is fixed. Once the entire purchase price has been paid, the seller will receive the notary title deed (escritura). The purchase of a luxury villa in Ibiza has been completed and checked by a CW Group lawyer.